Cocos nucifera (coconut) oil, glycine soja (soy) wax, euphorbia cerifera (candelilla) wax, theobroma cacao (cocoa) seed butter, persea gratissima (avocado) oil, aroma (natural oils containing: limonene*, citronellal*, linalool*, amyl cinnamal*, citral*), tocopherol (vitamin E), rosmarinus officinalis (rosemary) leaf extract. Below are reviews of Pacifica CQ Lip Tint Blood Orange - 4.25g by bodykind customers. If you have tried this product we'd love to hear what you think so please leave a review. 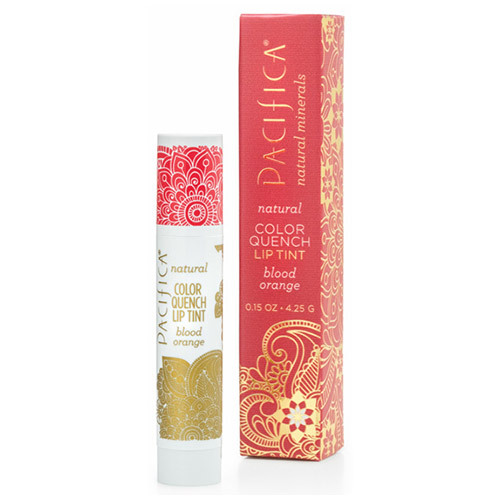 Really strong colour tinted lip balm. Lovely smell too! Dont need to put a lot on to get a nice colour. Will be looking to buy the other flavours they sell.